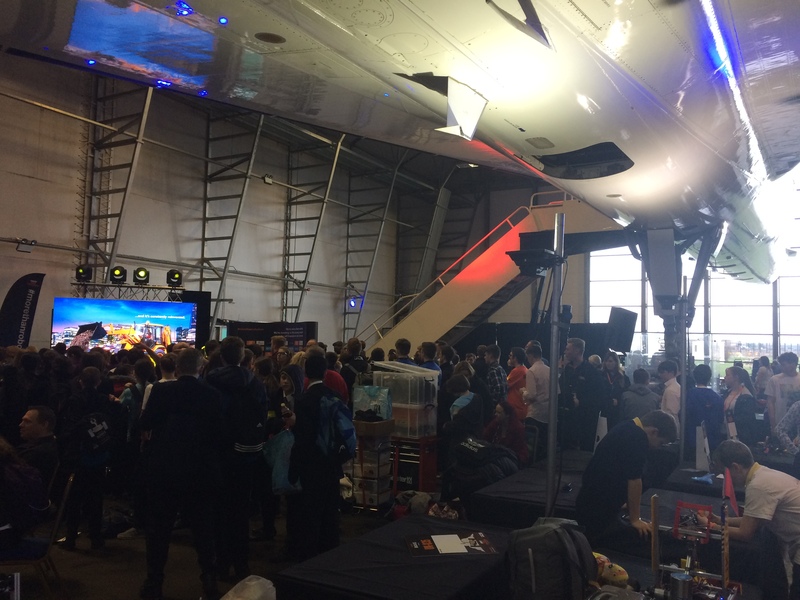 On Friday 15th March, students from the school attended the First Tech Challenge at the Concorde Conference Centre next to Manchester Airport. The event was hosted in shadow of Concorde where students competed against each other with robots they had built and programmed. The robots had an autonomous phase and a driver-controlled phase. In the autonomous phase of a match the robot operates without any human input or control. In the driver-controlled phase, the robot can receive input from up to two human drivers. The event was really well managed and the facilities were inspiring. It was a fantastic day with the teams supporting and competing in a manner which made the event a real success. At the end of the elimination section Sir Thomas Boughey showed they had a robot which was scoring well and they formed an alliance with two other teams which saw them through the finals and win their league. They all received winners medals to finalise a successful and enjoyable experience. 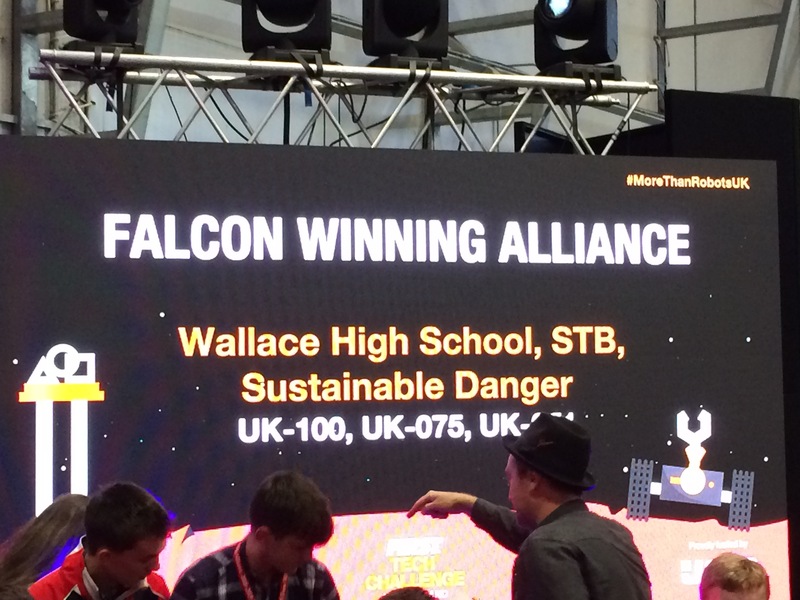 The talk on the way home was about the next challenge and a challenge from Staffordshire University students to have the same competition against them when they have had time to come up with their own robot. 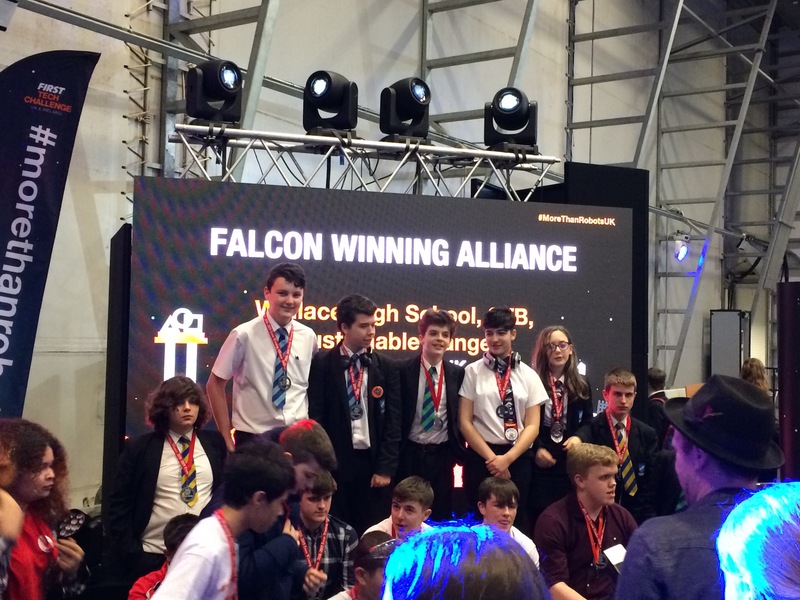 The academy did really well – Clayton won two awards and Newcastle were runners up in their league but won the inspiring prize which means the team are off to Detroit to take part in the American robotics competition. Thanks goes to Martin Ebsworth for his support as mentor and sponsorship from JCB and Arconic.